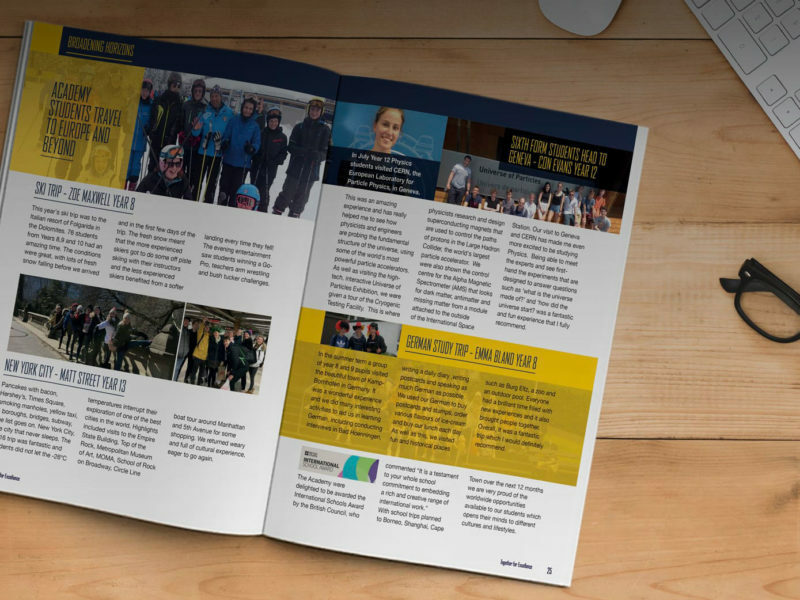 Designing the academy’s internal and external communications including a themed School Yearbook that doubles up as their prospectus, plus a regular newsletter that features up to the minute activity taking place within the school each term. The biggest challenge was taking the old, and somewhat confusing website, and simplifying it to provide the user a much better experience navigating the high school, college and studio school within one ‘academy’ website. A triangle motif was developed to reflect the school’s ‘3 House’ system as well as the strong foundations they provide to their students. Multiple layers were used to symbolise the strong pastoral care the school provides and their proud 82-year history of the school. Blue Apple Education were asked to design a prospectus that brought each college (Manchester, Birmingham, Cambridge and London) together, to be recognised as part of a larger group. This showcased their strength as first class sixth form colleges both in the United Kingdom and internationally. 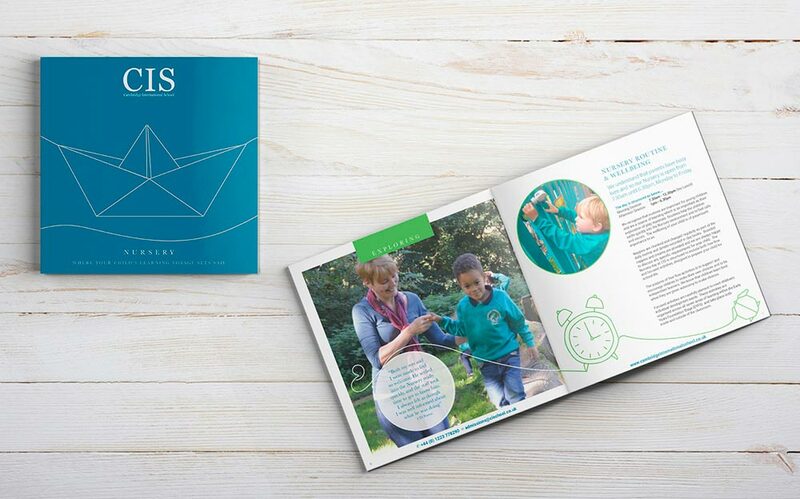 Such was the impact our design and marketing had on each of the colleges, we became a trusted partner for all the schools’ communication and design within the Alpha Plus Group. A great success, a really impressive production, thanks to you all for your help and support.